Gearbox & ClutchThere are 7 products. Sequential 6-speed gearbox in original housing for the Elise 111R, Exige S2, Exige S and 2-Eleven. Suitable for track or race use. High performance clutch kit for fast road/track use. Suitable for up to 240lb/ft torque. Usable out of the box. 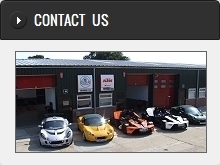 Suitable for the 2ZZ engined Elise, Exige and 2-Eleven. High performance ultra-lightweight flywheel for the 2ZZ engined Elise, Exige and 2-Eleven. Weighs only 3.5kg versus standard is 6.5kg. Final drive for C64 gearbox in all Toyota engined Elise, Exige and 2-Eleven. Rated up to 295lb/ft. Rubber inserts that reduce engine movement during accelleration and gear shifts. 2ZZ engined cars only. Complete set of 4. Quaife ATB helical geared limited slip differential for Toyota C64 and C60 Gearbox. Suitable for all cars with Toyota 2ZZ-GE engine.